Reposted in part from Shadow and Act. Netflix's British sci-fi anthology series, Black Mirror, dropped details about its upcoming season four. 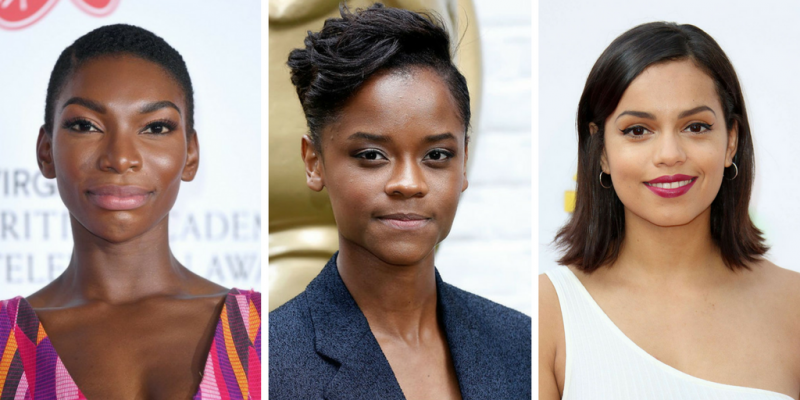 The episodes will feature Chewing Gum's Michaela Coel, Black Panther star Letitia Wright, Georgina Campbell, Clint Dyer and Babs Olusanmokun. According to its description, "Black Mirror is an anthology series that taps into our collective unease with the modern world, with each stand-alone episode a sharp, suspenseful tale exploring themes of contemporary techno-paranoia. Without questioning it, technology has transformed all aspects of our lives; in every home; on every desk; in every palm – a plasma screen; a monitor; a Smartphone – a Black Mirror reflecting our 21st Century existence back at us". The series is created and written by Charlie Brooker, and executive produced by Brooker and Annabel Jones. Black Mirror season 4 is "coming soon". For the latest TV news and opportunities, follow @Scene_TV on Twitter and join the mailing list here. Sign me up for the SceneTV newsletter!